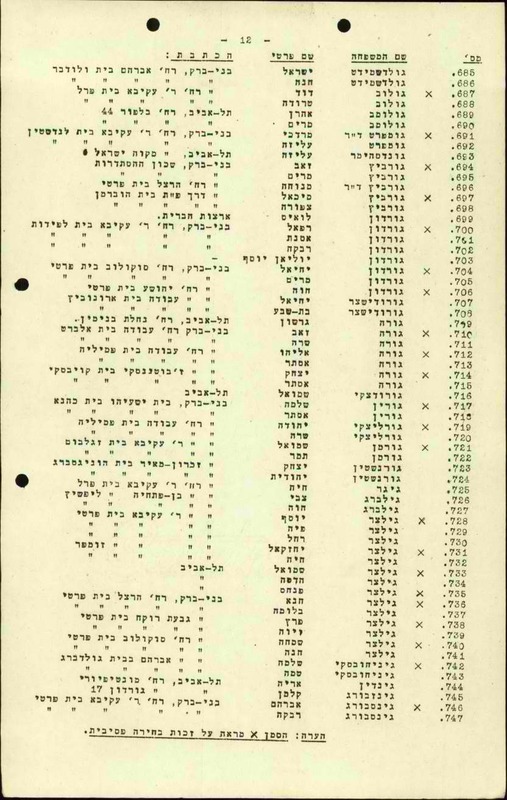 This is the voters’ list for local elections in 1947 of the people living in Bnei Brak, Palestine (Eretz Israel). 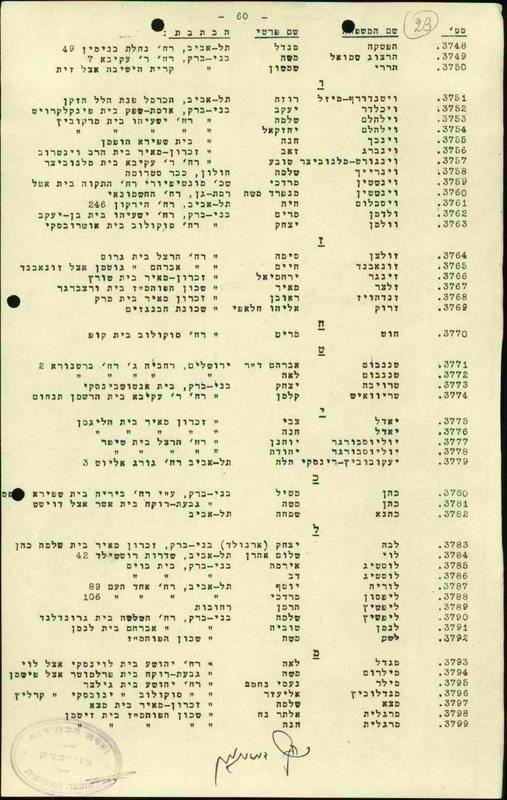 This document was found in the Israel State Archives. If one of the names is illegible, please type illegible. If one of the fields is empty, continue on to the next field. If you have a problem typing parentheses ( ), then don't type them. Please type the complete record number. If a voter's name is crossed out, in the "field" type נמחק. Do not type the lette "x" that appears next to some of the names. The last five pages are of additions, corrections and deletions. Please type the relevant information in the field labeled remarks.